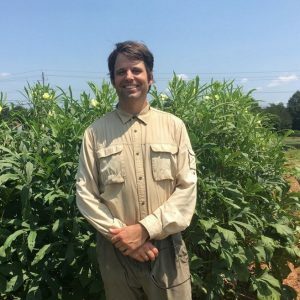 Wick is the coordinator of the Grow It Know It (GIKI) program. Wick received his Masters Degree in Environmental Planning and Design, concentrating on Georgia’s first sea level rise plan, which was unanimously adopted by Tybee Island City Council in April 2016. Wick served two terms with AmeriCorps VISTA and is now proud to support AmeriCorps programs working with youth in Athens and the surrounding area. Prior to his current experiences, Wick taught environmental education for ten years across the United States. Wick’s goal, in whatever position he is working or volunteering, is to raise the awareness of the public to the environmental challenges facing society and to encourage creative solutions considering ecology, economy, and equity, and if he is afforded the opportunity, do so in song. 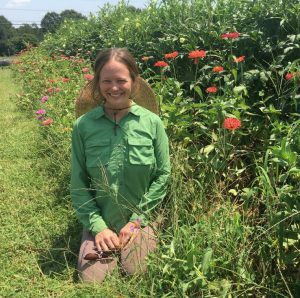 Andie Bisceglia is recent UGA graduate with an MS from the Department of Crop and Soil Science. Her thesis research was on how school gardens affect student thinking around sustainability and healthy eating. Previosuly, she earned a BS in environmental studies from Bates College in Maine, and worked as an environmental educator and farm apprentice at a variety of farms, outdoor education centers, community gardens, and botanical gardens on the east coast.